Confirming industry speculation, AMD has announced that it will cut 10% of its workforce in an effort to save money -- or rather, "optimize cost structure to enhance competitiveness and accelerate growth." By trimming a little fat, the company expects to save approximately $10 million in operating expenses during the fourth quarter of 2011. That sum will balloon to $118 million in 2012. 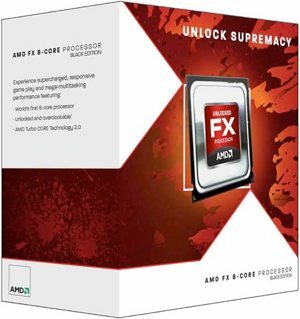 The exodus will include individuals across AMD's entire global footprint and is expected to be complete by the first quarter of 2012, though other restructuring plans will continue throughout next year. In addition to savings from reducing its workforce, AMD plans to shave another $90 million off its expenses in 2012 by undertaking various operating efficiencies, but the company didn't elaborate. Total operating expenses are estimated at $610 million for the fourth quarter with the savings factored in. Going forward, AMD plans to reallocate those funds toward "strategies for lower power, emerging markets, and the cloud." Again, details are scant on that. The company also expects to improve productivity, reduce the time it takes to bring products to market and better align itself with key industry trends. "Reducing our cost structure and focusing our global workforce on key growth opportunities will strengthen AMD's competitiveness and allow us to aggressively pursue a balanced set of strategic activities designed to accelerate future growth," said AMD's newly-appointed president and CEO, Rory Read. AMD has had a bumpy 2011 and that's unlikely to change in the near future. Although its Fusion APUs have made great strides in embedded graphics performance, the company is struggling to remain relevant alongside Intel's speedy desktop and notebook CPUs, while it currently has no answer to ARM's mobile platforms. AMD is ultimately left with the budget/entry-level computing segment and that's undoubtedly straining profit margins on its processors.